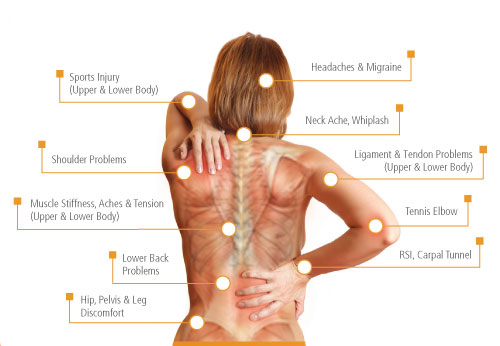 Deep tissue massage side effects are a risk you take when receiving a deep tissue massage. But what are they? And how badly can it affect you? Many people are under the impression that a deep tissue massage must hurt to receive any benefits from it. This is wrong! A deep tissue massage, also known as a Swedish massage, is a type of therapy that focuses on targeting the lower levels of muscle – those muscles closest to your bones and joints. This massage aims to realign these muscles and relieve built up tension and pain. Massage therapists do this by using a massage oil and applying direct pressure with their hands to the affected spot. Using slower movements and a deeper pressure, the therapist is reaches the sub-levels of muscle more effectively compared to other forms of massage. This form of massage is best used to target lower back pain, muscle tightness in your legs, stiff neck, and upper back pain. Most chronic muscle pain can be treated with this massage. People seek out this therapy treatment to make them feel good and relieve tension and pain. But with this comes the risks of some side effects. Deep tissue massage side effects range from minimal commonly complained about issues to more serious (but rare) problems. To make an informed decision about whether a deep tissue massage is right for you, you must know all the facts. Although you may not experience any of these from a massage therapy, it’s always important to know the risks associated with treatments. We have brought you a list of known deep tissue massage side effects, ranging from the most common and minor to some more rare and serious complications. Because of the techniques used in a deep tissue massage and the pressure used to reach the lower muscles, some people may experience some form of discomfort and pain during and after the therapy. This is actually a common side effect. Any pain you experience in or after the massage should not last more than a few days. If the pain persists, speak to your therapist or your general practitioner (doctor) for further advice. Be mindful of the level of pain you experience during your massage. Most people are under the presumption that a deep tissue massage must be painful to work. This is not the case. Being aware of the amount of pain you receive and the amount you can handle will help you through the therapy. If you feel that it is too painful for you, speak to your therapist and let him or her know. You know your body best, so don’t be afraid to voice your concerns. Another commonly stated deep tissue massage side effect is muscle soreness and fatigue. And it’s easy to understand why. The aim of this massage is to penetrate through the top layers of muscle and work out the built-up tension in the deeper muscles. This, done with precise pressure techniques, leaves the muscles relaxed. And this in turn can cause a fatigue effect and some sore muscles. Any pain, discomfort and fatigue should not last more than a few days. You may get a headache after your deep tissue massage. Don’t panic. Headaches are not common but certainly not unheard of. They are not serious and usually go away in a few days. Your headache should not last any longer than a few days. If it persists, or gets worse, contact your doctor or a health professional. A slightly awkward positioning of your head during the massage therapy. A pain induced headache. Your pain level threshold may be lower and as a result, you may get a headache from exposure to any pain. Your neck was massaged. These muscles are close to your head and a release of tension or applied pressure (from the massage) to this area can give you a headache. Due to a release of tension in your body, you may feel tired after this massage therapy. When you release tension in the body, you also release stress both physically and mentally. Any sleepiness you experience should not last for more than the day of your treatment. 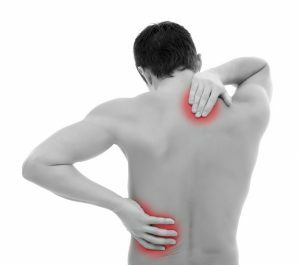 Although rare, inflammation can occur after a deep tissue massage. The reasons for why you may experience inflammation can be varied, depending upon the area of treatment and the reason behind why you are getting the massage. Most commonly, it is the result of an aggravated injury, poorly performed massage, or too much pressure applied in therapy. Inflammation should disappear within a few days but you like to aid this by applying some ice therapy to the affected spot. Skin redness and heat are common deep tissue massage side effects and are generally not serious. Because of the pressure applied to your body and the rubbing against your skin, some redness is likely to occur most of the time. You may also experience some heat in the massaged areas. This may be due to the rubbing of your skin or your muscles reacting (positively) to the treatment. Again, these symptoms should clear within a few days. Nausea may occur after treatment. This is due to the release of toxins in your body from your deep tissue massage. The release of toxins is normal during your treatment. If you experience any nausea, drink water to help flush these toxins out of your system and rest. Bruising should not occur as a result of your massage treatment. But it may. Bruising is the result of too much pressure being applied. And this shouldn’t happen with trained professionals. While in your massage, if you ever feel too much pain or too much pressure applied, speak up. Tell your therapist. Bruising will start to fade over a few days and eventually disappear. But if you have any concerns, consult with a doctor. This is a much more serious and rare side effect of deep tissue massaging. Aggravation of existing injuries is rare among trained professionals but unfortunately, may still happen. It may also lead to further health problems or heightened injuries, both short term and long term. Aggravated injuries may occur for many reasons, from a poorly performed treatment or misunderstanding of the original injury. We recommend speaking with a therapist (and perhaps a doctor) about your injury before deciding on getting a deep tissue massage. The rarest of them all, is the possibility that a deep tissue massage may cause a new injury. Most reported cases of this are usually in the areas of the neck or back. There are a few simple steps you can take. Always make sure your therapist is a highly trained professional. If your injury is specific, you may want to investigate and find a therapist who specializes in that area. Always tell your therapist your exact condition of injury. The more they know, the better equipped they are to give you the best results. Keep open communication with your therapist during your massage treatment. Tell them if you are in too much pain or uncomfortable. Should you feel that an injury has occurred during your treatment, end the session immediately and tell your therapist. If you suspect a new injury after a treatment, contact your therapist and a doctor for further action. What should you do if your side effects continue? Most deep tissue massage side effects are minor and don’t last more than a few days. But if you experience pain or any of the mentioned side effects beyond a few days, you should contact your therapist. You may also wish to contact your general doctor or in more serious cases, a hospital. All of this information can be a lot to take in. And it can be scary. Although most of these deep tissue side effects are minor and most of them are rare, it’s still important to have knowledge so you can make an informed decision on whether a deep tissue massage is right for you. And what you may experience. Ask your therapist to explain the process of the deep tissue massage before you begin. This will help you feel more at ease during the treatment. Ask your therapist to explain how your body will respond to the treatment and what to expect in the few days to follow. Ask your therapist as many questions as you need to. Allow yourself some resting time after your massage. And do not do any strenuous physical activity. Hopefully we have helped you to gain valuable knowledge on deep tissue massage side effects. Remember, most side effects are minor and will clear within a few days if you experience them. If in doubt about anything, consult your therapist or a health professional. We wish you the best on your health journey. Could massage cause this itchiness that I have been having?????? Marlene – it sounds like this could be the result of poor blood flow or circulation. Ask your doctor about the specifics or visit another doctor. The problem with my massage is the feeling in my head, is that normal? Head feels very light, can not walk normaly. My doctor (np) say give it a few more days and we’ll check it out. Muscle relaxants and wet heat…. Hey Rhea – I would follow your doctor’s recommendation and give it a couple days. Has this happened before or is this the first time? Have you had massages in the past when this didn’t happen? I had a deep tissue massage 5 days ago. 6 hrs later I had full body muscle spasms. 4 drs, muscle relaxers, and nerve relaxers later, still happening. What could she have done? When will this stop? As a Practitioner, THANK YOU!! THANK YOU!! too many people are so misinformed. I choose not to hurt myself. Find it so difficult to diminish this way of thinking in people that HURT, and risk further injury, as well as. Therapist risking thier own well being..